To celebrate the birthday of the United States, here’s our traditional greeting: Jim Steranko’s classic cover to Strange Tales 167. 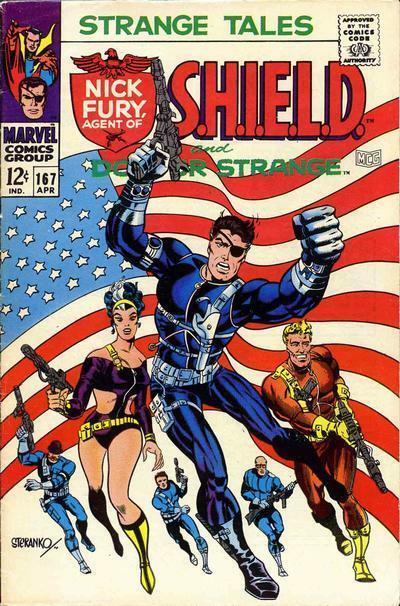 The issue wrapped up a marathon Nick Fury, Agent of S.H.I.E.L.D. story line by the writer-artist. The Russian trailer for The Man From U.N.C.L.E. has emerged online and it has some material not in the U.S. trailers. The trailer, naturally, plays up Armie Hammer’s Illya Kuryakin character a bit more than what has been seen in the United States. Specifically, there’s a scene (beginning around the 1:15 mark) where Henry Cavill’s Napoleon Solo is using a small wire cutter on a fence. Kuryakin then takes out some kind of laser gadget to do the same thing much easier. Also, we see a shot of Kuryakin’s KGB superior that wasn’t in the U.S. trailers. Anyway, if you’re interested, you can take a look below. 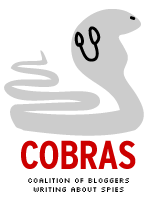 It’s also available on a Russian video site that you can access by CLICKING HERE. Thanks to reader James Harris for posting that video on The Spy Command page on Facebook. Also, thanks to @HenryCavillONL on Twitter for pointing out the YouTube version embedded here. After two years (or so) of fan debates, we’re about six weeks before The Man From U.N.C.L.E. movie — a project decades in the making — finally comes out. Needless to say, it’s been a roller coaster ride. Who should be Solo? Who should be Kuryakin? Should this even be attempted at all? This post is prompted after reading yet another fan debate on these subjects. Rather than hash over the debating points, this is an attempt to summarize what’s going on. It would appear that director Guy Ritchie and his producing/writing partner Lionel Wigram are betting they can strip U.N.C.L.E to its component parts — Solo, Kuryakin and Waverly — and dispense with familiar memes (cool secret HQs, among them) that have been adapted by others such as Kingsman: The Secret Service. There may be the odd reference to the original 1964-68 series, but it may not be much more than that. The Ritchie-Wigram target — something that Warner Bros. evidently agrees with — is younger viewers. Essentially, the filmmakers want to make U.N.C.L.E. palatable to the younger demographic while hoping enough first-generation fans are willing to go along for the ride. Will it work? We’ll see. For some first-generation fans, having a Del Floria’s front to the secret HQs is a key part of the original U.N.C.L.E. concept. Others don’t like an “origin” storyline, which has become the default option for lots of “re-imagined” popular entertainment. Whatever the case, “Mr. Warner” (check out old Warner Bros. cartoons for the joke) has stepped up recently to promote the movie, including making it part of next weekend’s San Diego Comic Con. For many long-time fans, having U.N.C.L.E. be part of that event — which has become a major venue for promoting movies — couldn’t even be imagined as recently as a year ago. The stars of The Man From U.N.C.L.E. movie will promote the film at the San Diego Comic Con on July 11, according to a WARNER BROS. PRESS RELEASE. Henry Cavill and Armie Hammer, who play Napoleon Solo and Illya Kuryakin, are scheduled to be joined by female leads Alicia Vikander and Elizabeth Debicki, the studio said in announcing its activities at the convention. Cavill and Hammer reprise the roles that Robert Vaughn and David McCallum played on the 1964-68 television series. Vikander plays Gaby Teller, the “innocent” of the story while Debicki is the lead villain. The movie, directed by Guy Ritchie, is a different take on U.N.C.L.E., without familiar memes such as the organization’s secret headquarters. The convention appearance will take place a little more than a month before the U.N.C.L.E. movie’s Aug. 14 release date. Cavill is doing double duty for Warners at the event. He’s also scheduled to be promote Batman v Superman: The Dawn of Justice. That movie, which comes out in March 2016, features a conflict between Superman (Cavill) and Batman (Ben Affleck). It also an attempt to be Warners’ answer to Disney/Marvel’s Avengers franchise. The press release leads off with details about the Batman v Superman promotion. Cavill first played Superman in 2013’s Man of Steel. He was cast as Solo in U.N.C.L.E. around the time Man of Steel came out in June of that year. Following this week’s early press screenings of The Man From U.N.C.L.E. movie, reactions are starting to appear on social media. None of them have been detailed. The guess here is that an embargo is in place before those invited to the see the movie can comment in detail. That’s standard operating procedure, involving movie reviews and feature articles about films. Occasionally you’ll hear about a flap where a scribe published before the embargo time. The U.N.C.L.E. screen is unusual because it took place six weeks before the movie’s Aug. 14 release date. In any case, for what it’s worth, here are some tweets that have come out since the screening. Just came out of an early screening of #ManFromUNCLE – slick, funny and loved the cast. The rise of Alicia Vikander continues! A film writer at Uproxx weighs in. I saw The Man from U.N.C.L.E. last night. Halfway through the movie I said out loud, “Oh my gosh, Henry Cavill is GREAT!” What a world. Warner Bros. gives an early press screening of U.N.C.L.E. Warner Bros. has conducted an early media showing of The Man From U.N.C.L.E. movie, according to the editor of an entertainment news website. Steven Weintraub, editor in chief of Collider.com, took to Instagram and Twitter tonight to say he was attending. The movie, starring Henry Cavill and Armie Hammer, doesn’t arrive in theaters until Aug. 14. Warners originally scheduled the Guy Ritchie-directed film for mid-January, usually seen as a studio dumping ground for movies. Warners later switched U.N.C.L.E. to August and kept it there, even after Paramount moved up Mission: Impossible Rogue Nation to July 31 from Dec. 25. 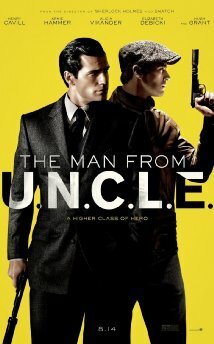 The M:I movie features star/producer Tom Cruise, who had been courted to play Napoleon Solo in U.N.C.L.E. but opted against it. That paved the way for Cavill’s selection. UPDATE (June 30): A writer for the Reuters news service put out a tweet after the screening. No other details provided. Toward the end of the first season of The Man From U.N.C.L.E., David McCallum, playing Illya Kuryakin, posed for a series of publicity stills during production of The Girls of Nazarone Affair, the next-to-last episode of the show’s first season. In this photo, he’s in a convertible with Sharon Tate, who had a small role in the episode. Tate, in this photograph, shows off her personality that made an impression on casting directors. She soon would soon get larger roles. Looking at this image, you can understand why Dean Martin wanted Tate to return for a planned fifth Matt Helm movie, The Ravagers. Tate had been his co-star in The Wrecking Crew. It wasn’t to be. Tragically, she would be murdered in 1969 by the Charles Manson family.